Being a mother is more than just a lifetime commitment or a full-time job, it can also be an amazing adventure and one of the most rewarding experiences of your life! With the right mindset, tools, and emotional support, you too can enjoy a fulfilling mother’s lifestyle. This website and our exclusive free to join Facebook Group was created especially for you to provide helpful parenting tips, advice, and assistance from fellow moms and our professional staff. We also share life-saving tools and advice from the world’s leading parenting experts, as well as great deals on essential products and services that make any mother’s life easier, on any budget. We are parenting agnostic, which means that we firmly believe that each child is unique, with individual needs, thus no single parenting approach is a one-size-fits-all solution. Mothers Lifestyle is a safe space, free of judgment and dogmatic thinking. Each mother brings to the table their own unique set of cultural and spiritual values, and we respect that ultimately each mother must decide for themselves what is best for how to raise their children. We believe that as a parent you can learn from the challenges and successes of other parents, regardless of whether or not they share your world view. We encourage passionate sharing of success stories and different approaches to solving the challenges you may be facing. Mother’s Lifestyle is a place to learn from a diverse set of experiences, approaches, and values. That being said, we believe that non-violence, respect, love, and listening are key values that transcend cultural differences and can make the parenting process a joyful and healthy one. I began Mother’s Lifestyle because I have worked with many mothers throughout my life. I have been a professional nanny working with children of all ages for over 15 years, and I have seen so many moms struggle to find a parenting approach that works for them and to not repeat the mistakes of their parents. It can be challenging to sort through all the conflicting advice, especially given that being a mom is such an emotional and deeply personal process. My experience working with over a dozen families—from all walks of life—has taught me that there is not one style of parenting that is the best for all children. Often it takes a trial-and-error process to find what works best for your child. 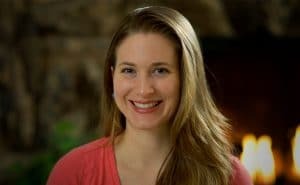 I have helped raise many different children from babies to teens, some of whom have struggled with unique challenges such as ADHD, autism, and other medical issues. I have also worked with parents who themselves faced different types of mental health challenges—depression, addiction, and bipolar diagnoses for example—and helped them become the best parent despite those challenges. The truth is that parents face all kinds of challenges everyday: financial, medical, in their relationships, and with their health. Parenting truly is the most difficult and important job out there, however, I have also learned that anger and violence only serves to make issues worse. It breaks my heart to see all of the misinformation out there making an already difficult process worse. I wish to help raise as many children as possible with respect and positive reinforcement as a style of parenting. While being a mother or parent can definitely be challenging, I also know that it can be joyful and rewarding! My work has taken me all over the globe and I have had many amazing adventures with the families I have worked with, all of which has taught me a great deal about how to make parenting less stressful. I want to help women find joy, happiness, and ease in their lives, not just focusing on their challenges, but really celebrating the wonderful experiences that come from being a mother! A lot of my philosophies on parenting are the result of a lifelong spiritual journey. I have studied with many spiritual teachers from a variety of traditions, each of whom have given me insights into becoming a more loving and present person that I truly cherish. During this time, I began working with others as a life coach, helping them through relationship counseling, dietary advice, and teaching mindfulness techniques. During the course of my journey as a professional nanny I have done a lot of research into the science and psychology of child development. I have found that I really resonate with the RIE (respectful) parenting method (originating from Magda Gerber), Positive Parenting (Debbie Godfrey), and Gentle Parenting. To all the mothers out there… blessing to you. 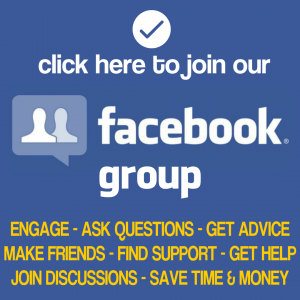 Please join the discussions in our exclusive free Facebook Group.